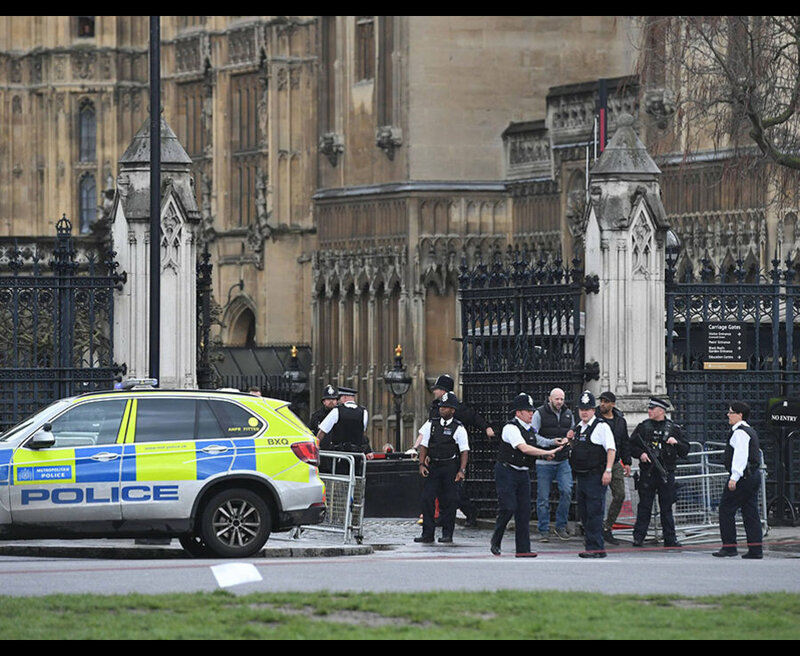 DEVELOPING – A Military police officer was stabbed and an alleged assailant was reportedly shot after gunfire broke out at the UK Parliament in London on Wednesday. TWO people have been shot after a machete-wielding attacker ploughed a car into a group of people outside the Parliament building in a London terror incident, The Daily Star UK reports. A man with a knife has been seen within the confines of the Palace, eyewitnesses said.Parliament has been placed on lockdown with MPs locked inside and armed police carrying shields protecting the building.Reports suggest that 12 people have been injured.A “police officer has been stabbed” and the “alleged assailant was shot by armed police”, Commons Leader David Lidington has told MPs.Metropolitan police said they were called to a firearms incident on Westminster Bridge. What sounds like Gunfire at the front of parliament. No idea what’s going on. “We were called at approx 2:40 pm to reports of an incident at Westminster Bridge. Being treated as a firearms incident – police on scene,” the cops said on Twitter.Eyewitnesses report hearing a loud bang, then screaming and shooting.A Downing Street source declined to say where Prime Minister Theresa May was during the attack, but said she had not been involved. Pictures are emerging of multiple injured on Westminster bridge.An air ambulance has arrived at the scene.David Lidington told MPs: “The alleged assailant was shot by armed police, an ambulance is currently attending the scene to remove the casualities.